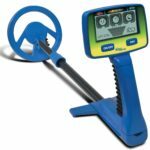 Our Bounty Hunter Junior Metal Detector review takes you through the features of this metal detector, a great choice for the young detectorist in your life. 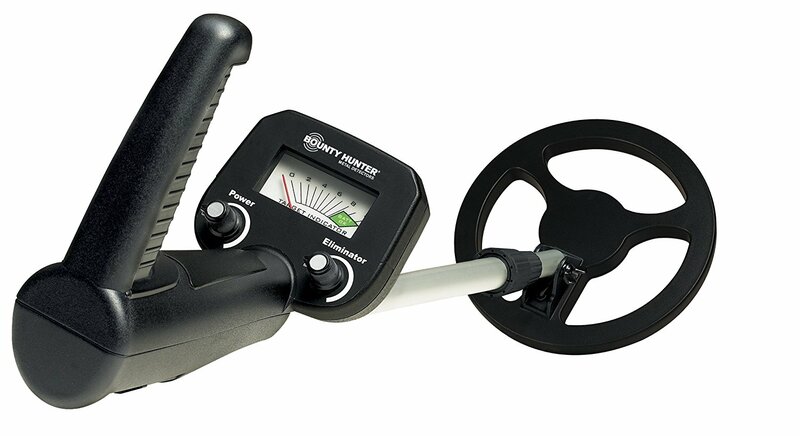 The Bounty Hunter Junior Target ID metal detector (aka the ‘TID’ metal detector) is a compact, lightweight package that comes packed full of the sort of metal detecting features you’d expect from a more expensive model. This metal detector for kids can detect coin-sized objects to a depth of 5 inches and it will detect larger objects much deeper. The depth indicator tells you how deep the buried treasure is. The target ID categories will tell the young detectorist what’s in the ground before they go to the trouble of digging it up. Non-ferrous high conductor – copper and silver coins. You can also program it to ignore unwanted metals and trash. We think this is a fun and easy-to-use entry-level junior metal detector and has some super sweet features for its super low price. We asked around our fossicking network of metal detecting enthusiasts about the Target ID metal detector and three of our colleagues have kids or grandkids with this detector. They love that it’s robust enough to withstand the banging and clanging that comes with kids operating a metal detector. It’s not a toy – it’s a fully functional metal detector. They all love the large LCD screen is easy-to-read and has the three emojis faces to represent three different types of metal targets. The sad face on the left is probably trash. The middle emoji with a question mark could be something good or it could be trash. The third emoji on the right with a smiley face is the good stuff – coins and high-value metals like silver. It’s a solid product from Bounty Hunter, backed by a one-year warranty. All three Target ID owners have found treasures ranging from coins, war relics and some jewelry and are excited about their new treasure hunting hobby. Adjustable length Yes, the length is adjustable. We think this model will suit beginners to those with a little treasure hunting experience. For kids, we think from any ages it should be fine. The shaft is adjustable and with some instruction, they can quickly learn how to use the detector. 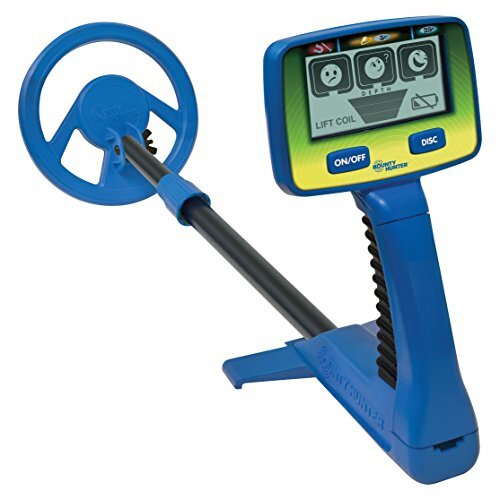 Download a copy of the Bounty Hunter Junior Target ID Metal Detector Manual for instructions on how to set up and use this device. 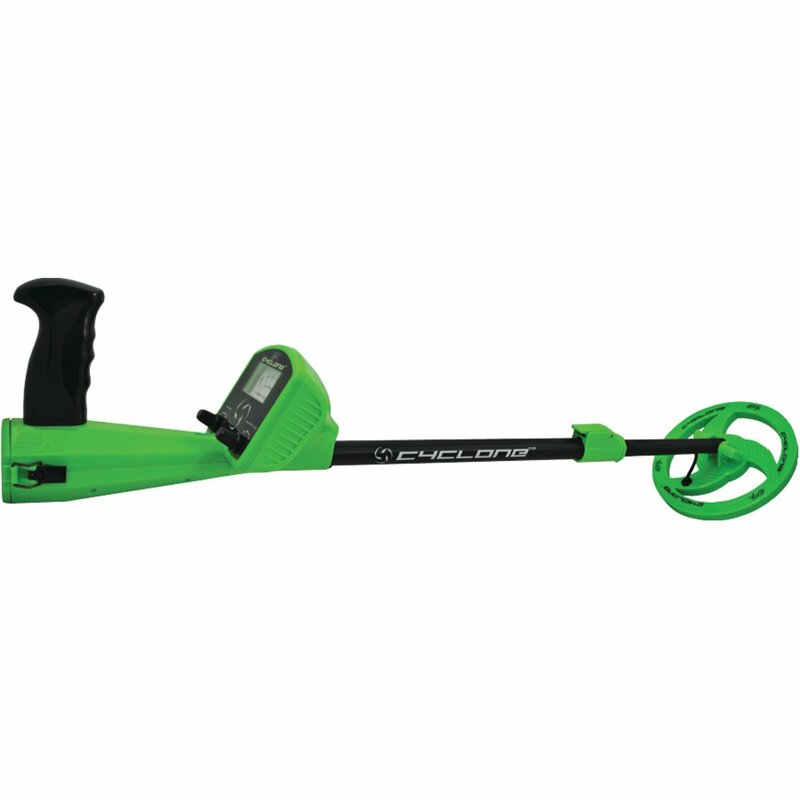 Bounty Hunter Junior Metal Detector is protected by a 1-year warranty. Even though this model is discontinued, it is still protected under the one-year warranty when purchased new.